ROSS’S GULL!! Icebergs! A great day out! 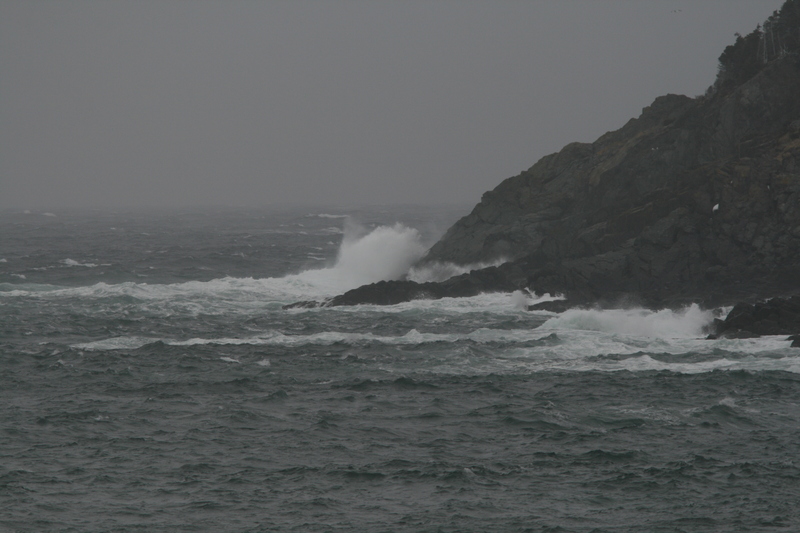 A hasty blog update, since I’m swamped and preparing for an early morning flight to the west coast (of Newfoundland). Following the excitement of the past few days, I decided to shirk work and spend today looking for more Icelandic rarities. The northern tip of the Avalon, especially along the east-facing coast of Conception Bay, seemed like a prime location for some of these birds to have arrived — and one that is familiar to me since my wife’s family has an old family home in Grate’s Cove at the very tip. In a nutshell, I faced some cold, windy and sometimes snowy weather in the hunt — but came up empty. Not a whiff of a European/Icelandic vagrant … my first Northern Harrier of the year and a somewhat unusual Blue-winged Teal were my highlights. 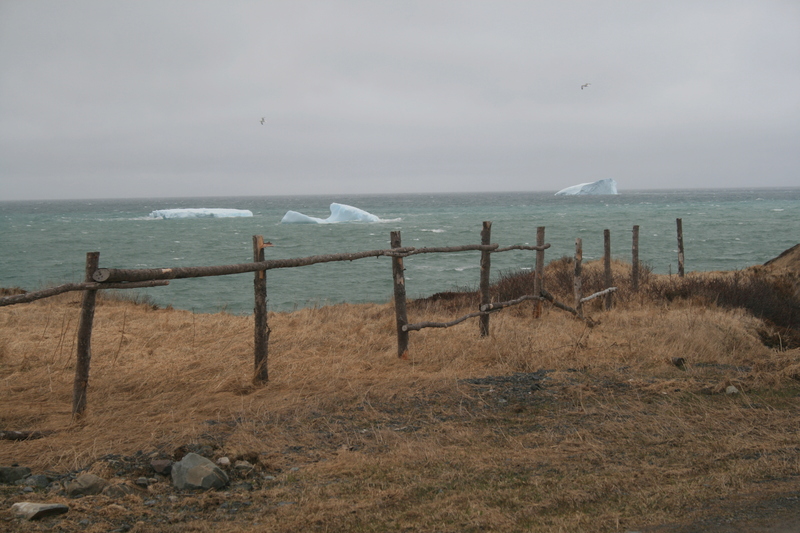 And the icebergs!! 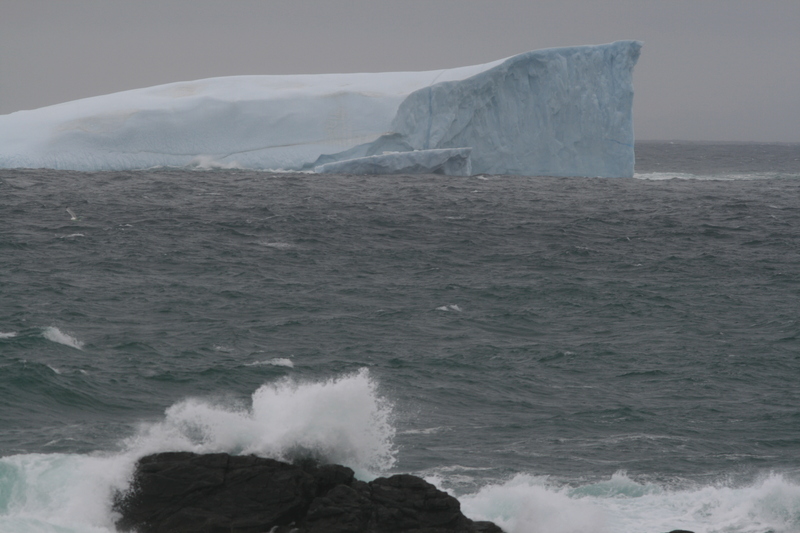 It is shaping up to be a great iceberg season, and I saw 15+ during my drive up the coast. Gotta love living here! 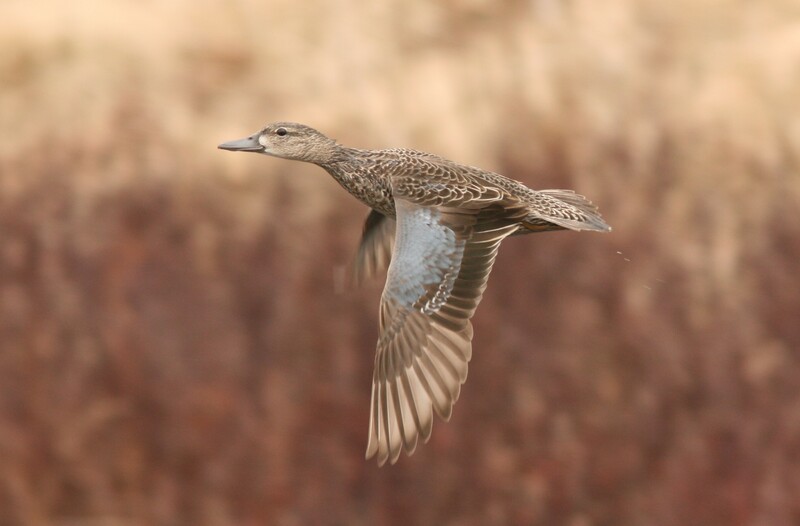 A female Blue-winged Teal … a good bird in Newfoundland! I had only just turned around to head home when I got wind of a possible Ross’s Gull in torbay (just north of St. John’s and nearly two hours from where I was). I picked up my pace a little, ignoring a couple other birding stops … and then got the confirmation. I raced back the winding coastal roads and highway, making it to Torbay in must be record time. There was a group of mostly happy birders huddled together at the beach, and others tucked into their cars to shelter from the freezing winds. But no gull … then I got word it was being seen distantly — and eventually I got on it. It was a bit far, but offered excellent scope views as it pattered across the water, lifted up and circled around, and showed off its pink belly, dainty wings and pointed tail. I got lots more great scope views over the next 90 minutes, although it never flew much closer. What a killer bird!!! There’s a Ross’s Gull in there … somewhere. Way out there … somewhere.